Here we are with another Monday and we bet you’re already counting down the days until Friday. We do the same thing when the beginning of the week hits. In order to get us through the day, we conjure up the magic of the week’s funniest memes. 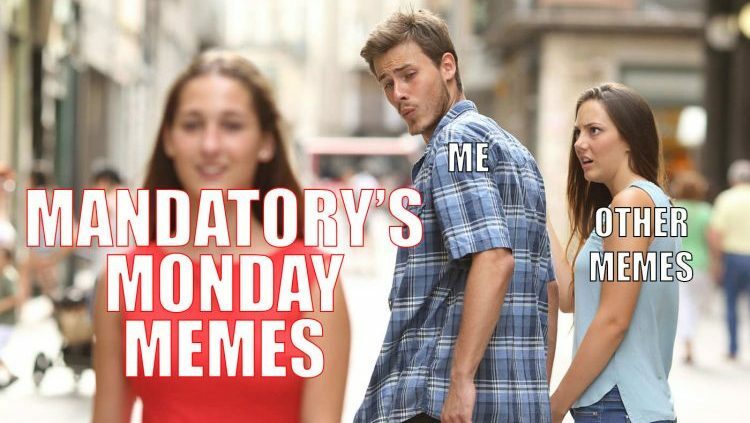 The Mandatory Monday Memes are back in your life, Mandatory faithful. Get your scroll on now and let Monday float on by.